The EZ Series® Single Phase Simplex panel is designed to control one 120/208/240V single phase pump in water and sewage installations. It features a digital display on the inside of the front cover for programming pump control and system monitoring, including: float status, elapsed time pump run, cycle counter, alarm counts (high water/power fail), float error count, auxiliary alarm counter, timer override count (TD only), on/off time (TD only). 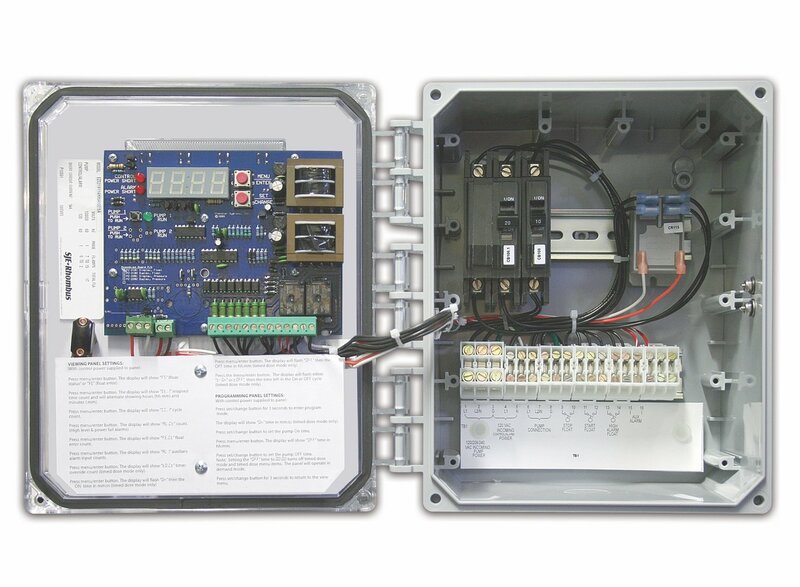 This innovative control panel is easily converted to demand or timed dose in the field.